Meet the team behind Girotondo. Hello from the girotondo team! We are a small group of educators with different experience and backgrounds but with one main thing in common: a passion for education and drive for innovation. We look forward to meet you and tell you about ourselves and our vision. I am a social scientist with extensive experience in academia and research. I have a passion for education as one of the most important factors affecting individuals’ development and opportunities in life. After getting a teaching diploma and working in a nursery for a few years in Italy, I ventured into a different path and studied sociology getting a Ba and MSc before getting into Oxford University, where I achieved my DPhil in sociology in 2010; my research interests have always revolved around social and educational inequalities and education policy, in particular education inequalities and the impact of social, cultural and economic resources on children’s educational attainment. After years working in higher education, lecturing on research related subjects, I decided to take some time off to rethink about my career. It was my daughter, who was 2 years old at the time and going to nursery, who got me to think about education approaches for young children and that was when I discovered the Reggio Emilia approach. That changed everything for me and Girotondo was born, first as a plan mostly in my head and then as a preschool, with its own unique environment and enthusiastic educators ready to share their knowledge and passion into providing the best education for children. I am passionate about education and the value that it provides to the UK and the world. I believe that education is the most single most powerful driver for both personal growth and social change and it is a privilege to help lead a nursery and pre-school that will bring this passion to a new generation. After graduating from the University of Central Lancashire with a degree in Business Systems Technology, I have been in the education business all of my career. Focussing primarily on the professional skills sector, I have held leadership roles alongside the delivery of education in technology and management skills. I have supported the skills development strategies of business such as Microsoft, KPMG and IBM while also helping to drive the skills agenda for public services and government agencies. As the Commercial Director of Girotondo, my focus is on building a sustainable business model that will provide real value to the community and support the great work that the teaching staff undertake with the kids. After obtaining my first degree in Genetics and Molecular Biology, I decided to travel for a year in the USA. By chance, during volunteering sessions in a Montessori school in Seattle, I have found myself enjoying working with children, who, I felt, were teaching me more about life and the outside world than the other way around. That is how my journey working with children began. Since then, I have worked in early years education for over a decade over Malaysia, the USA and the UK. I have a broad range of practical experience using different educational approaches including the Multiple Intelligence and Montessori methods. These experiences have provided me with valuable insights into the diverse philosophies and approaches in early years education. As well as having a wealth of practical experience, I completed my Master’s degree in Early Years Education at the University College London in 2012. I am a strong believer in maximising a child’s learning through play - play is the work of the child. Children have a natural curiosity and a sense of wonder for play and learn so let children be children and let them have control over their own learning. I have two young children myself, which has only strengthened my view on children being born playful and needing time and space to develop. Their natural desire to engage with other people and the environment in which they live in is the founding philosophy here at girotondo pre-school. Hello! My Name is Shojna. I am an educator here at Girontondo preschool. 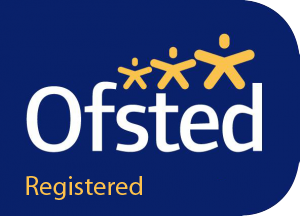 I have been working in Childcare for over nine years and have always had a passion for working with children and helping them in their development. Growing up, I loved playing school games from teaching to preparing materials for my imaginary children. During my studies in Childcare and Education, I had questioned our education system. Throughout my Early years practice, I have been inquisitive in the way Children learn. Learning is an endless process filled with questions and curiosity. From studying various theorists and pedagogs, I had seen their theories in practice within the early years setting. I was amazed to apply these theories and approaches and see the positive impact they have on children’s everyday learning. I have always worked in Early Years settings and Montessori Nursery Schools so when I came across the Reggio Approach I was so intrigued on the emphasises of creativity and critical thinking that it made me rethink everything I knew until now. The principle of a competent child, who as a scientist develops his/her reality by trial and error is staple of the Reggio Emilia approach and something which leads to a more stimulating learning environment. During my spare time I love to workout, do yoga and zumba. My Family and friends mean the world to me so I spend a lot of my time with them. Hello, my name is Silvia and I am Italian. I have worked with children for over 15 years and it truly is my passion. My experience is diverse; I have worked as a nursery and preschool educator, with children of ages ranging from babies to toddlers and have considerable experience working with children with special needs. I also have a passion for swimming and I’ve been a children swimming instructor for a number of years. In 2004, after completing my studies and attaining a teaching diploma in Rome, where I also had my first experience as a nursery educator for a few years, I decided to move to the UK, to get more opportunities to develop personally and professionally. My experience here in London has been quite diverse and reinforced my passion for the childcare sector. I have enjoyed very much working as a nanny with several families for the past few years, dealing with the day to day care and education of the children I was responsible for. A few years ago, I had the pleasure of meeting Elisa, the founder of girotondo, whom introduced me to the Reggio Emilia approach, and was instantly fascinated by this approach to education. I have spent some time researching and learning about this approach since then and look forward to enjoy this new professional adventure and guide children in their everyday discovery of the world around them. Hello! I am Michela, the Atelierista here at girotondo pre-school. With an artistic background, my role is to support the educators in the realization of projects using creative and poetic languages and discovering new and exciting materials. I studied Architecture in Italy and Spain before getting my BSc and MSc in 2006 at the University of Genoa, Italy. I have been working as an Architect and Interior Designer since then, first in Milan and then in London, where I moved in 2010, to progress in my career as an Interior Designer. When my son Filippo was born, in 2013, I decided to take some time off focusing on my little one. It was then that I discovered a deep interest in children development. Children are ‘small just in size’ and - for a certain time - they have just different tools to approach the world around them. I was fascinated by their way to communicate, their logic and perspectives. It was only when Filippo started going to nursery that I began to wonder about the impact that this would have on his emotional and intellectual development. So I started researching different educational approaches for young children and their impact on their personal development and future learning attainment, thinking about how I could use my professional experience and passion for art and design to contribute to that. I had just completed my training as a yoga instructor for children when I met Elisa, who introduced me to the Reggio Emilia approach, with its love for creative arts and the hundred languages of children. Amazed at the infinite possibilities, I asked to be part of her team and for my professional skills and passion for art to be part of the girotondo vision for children’s education.